Three decades after Gould’s passing at the age of 50, the world’s fascination with this remarkable Canadian pianist and public intellectual remains undiminished. Indeed, in the years since his sudden death, on October 4, 1982, he has been the subject of countless books, articles, documentaries and other presentations. His life and art have been thoroughly examined, analyzed and interpreted, in many ways. 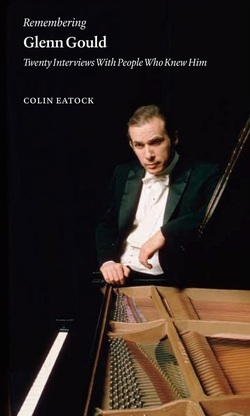 In Remembering Glenn Gould, Eatock has brought together a diverse group of people who knew and worked with Gould: musicians, broadcasters, professional associates, writers and personal friends. Seeking to capture their memories of Gould as directly as possible, Eatock presents them in their own words, in Q&A interviews. Remembering Glenn Gould may be ordered from Amazon.com, here. To read an excerpt from the book, click here.